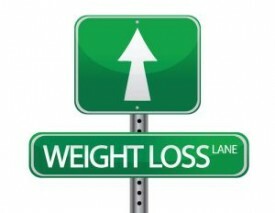 The things that we do have precise and predictable effects on our bodies, including losing weight. Low Level Laser Therapy (LLLT), also called cold laser therapy, can enhance the effectiveness of weight loss for those who are willing to make the necessary lifestyle changes such as developing healthy eating and exercise habits. LLLT uses infrared or near-infrared light energy to penetrate the skin tissue and stimulate (accelerate) the skin cells. It operates on the principle similar to the 5,000 year old ancient Asian healing art of Acupuncture. Certain pressure points are targeted by the laser lights, emitted by a hand-held device, to trigger shifts in the patient’s inner energy. As a weight loss treatment, the activated cells effectively jump-start your body’s metabolism and suppress the appetite and control food cravings. Calgary Laserworks will help to empower you to live a healthier, happier life. If you have questions, or would like more information, call 403-301-3730 today.